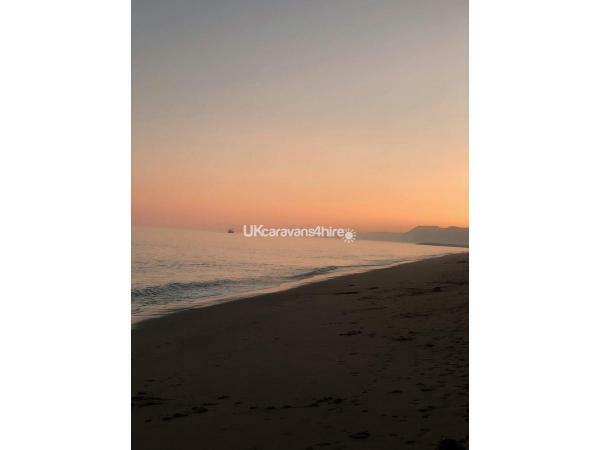 A refundable lost/damaged/additional cleaning security fee of £100.00 is payable on the day of booking which subject to T/C will be returned within 7 days from the end of your stay. A £100.00 deposit is required to confirm your booking with the balance to be paid 6 weeks prior to your stay. [please be aware that your deposit will be withheld if you cancel 30 days or less from the start of your holiday period]. 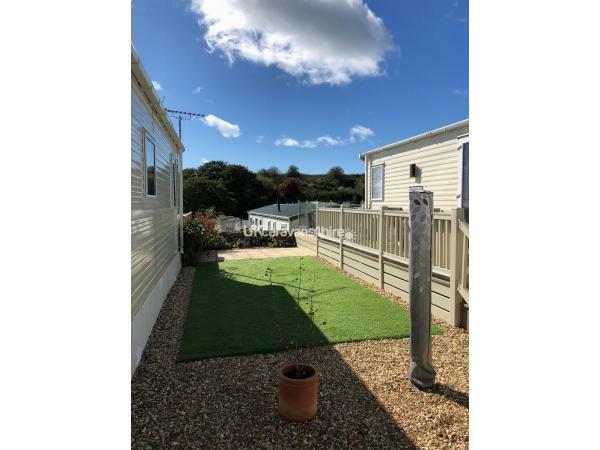 Welcome to our privately owned 6 berth holiday home sited at Freshwater Beach Holiday Park, Dorset. 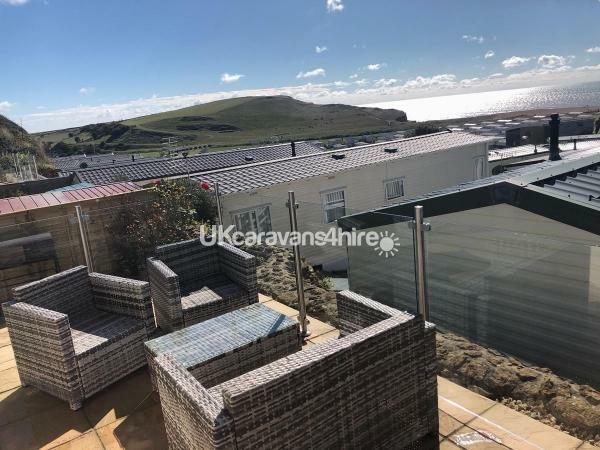 Freshwater is a popular and family friendly holiday park situated on the Jurassic coastline near to the sea side town of West Bay. 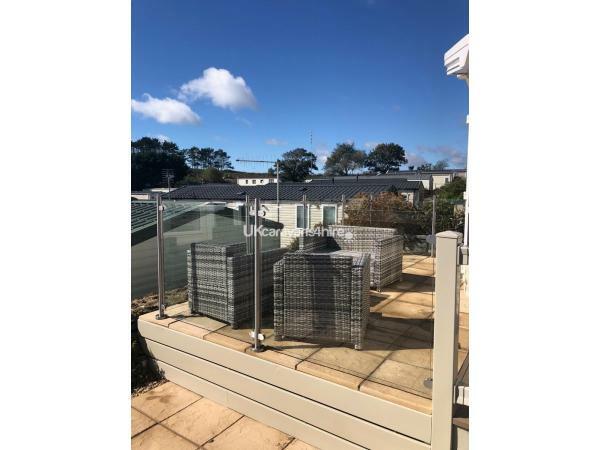 The park itself boasts indoor and outdoor swimming pools, 6 lane ten pin bowling, gym, sauna, hot tub and steam room, beauty salon, amusement arcade, pool tables, takeaway, supermarket and fully licensed family entertainment area. 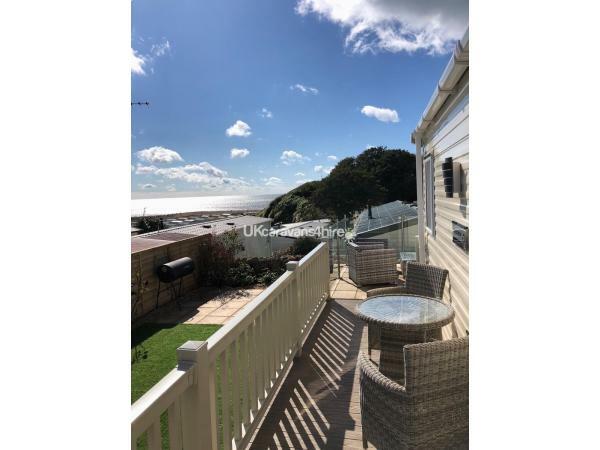 There is a private beach within a two minute walk from our caravan and a 18 hole golf course within walking distance. The caravan sleeps 6. 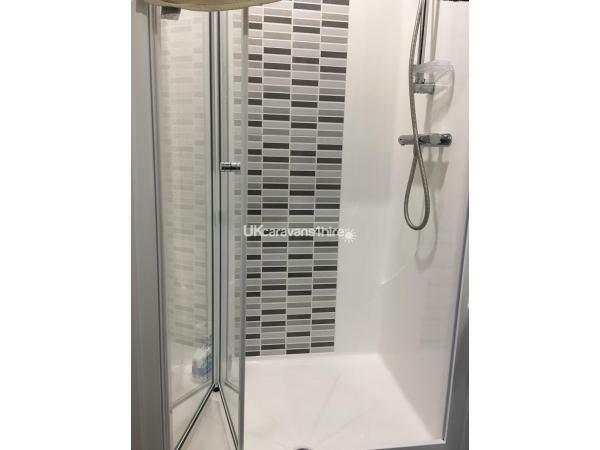 1 double bedroom to include en-suite and built in wardrobes. 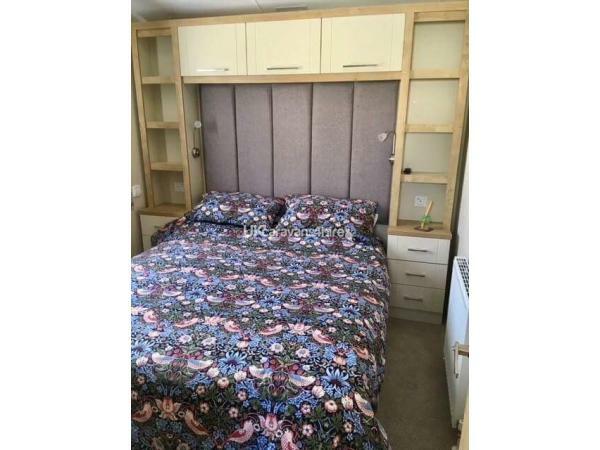 1 twin bedroom with built in wardrobe, whilst the sofa bed on the lounge sleeps 2 more. 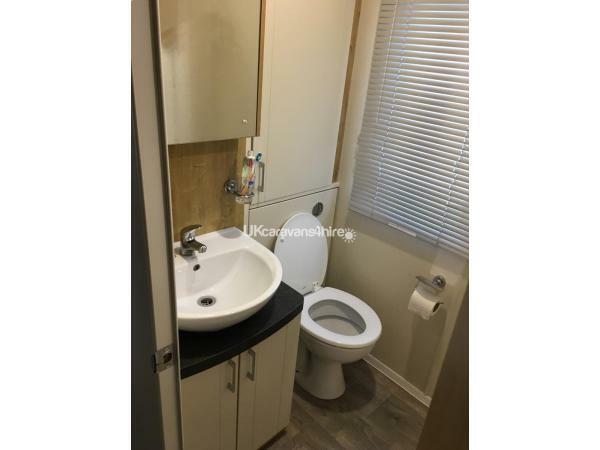 Bathroom includes full size shower, vanity basin and WC. 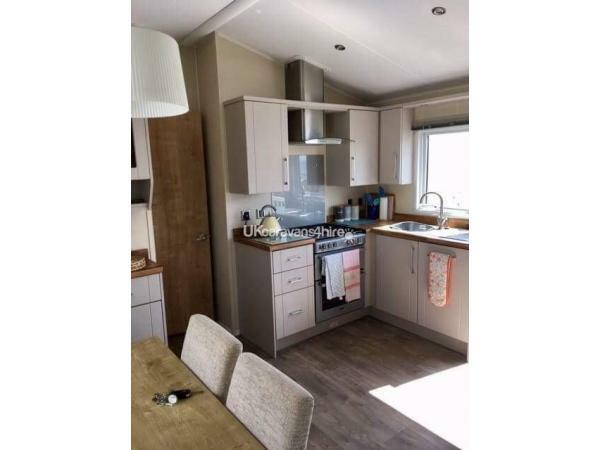 Fully equipped kitchen to include full size gas oven and job, inter grated dishwasher, fridge, freezer, washer/dryer and microwave. 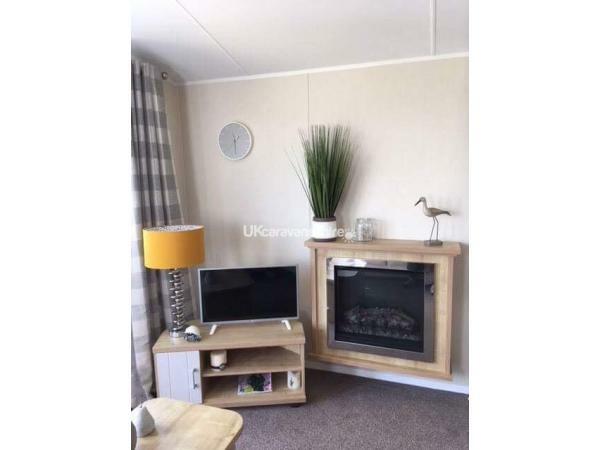 Full gas central heating/ hot water and is fully double glazed. 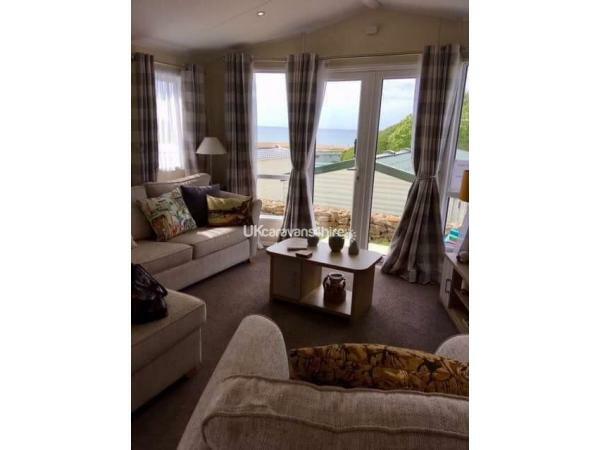 Double patio doors from the lounge open out into a fully enclosed garden with stunning sea views. Entertainment passes are included in the price although a charge of £10.00 will be made per pass for any lost passes. 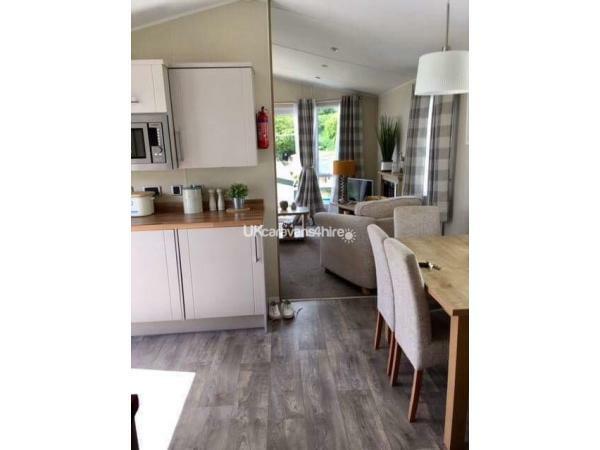 We only booked a short visit as we had not been to this site before, the communication with the owner was fantastic, the van went above our expectations, it was immaculate, Lovley big bed and a comfortable homely lounge area, the outside space was great and secure wich meant we could let our daughter play in the garden and not worry about her running off, the site was nice, we used the pool and ate in the restaurant. Would recommend and we would defiantly book again.